The staff is friendly, the decor was modern and beautiful. They really thought of all the little details. I would go back. Todo , muchas gracias . Nos vemos pronto!!! I do love everything. Thank you and I see you soon.!! Weekend stay in Barcelona. Location was great, outside the tourist area and lots of great restaurants around. About a 20 min walk to Sagrada Familia. Cute 1 bedroom apartment with a large terrace. The room was comfortable and served its purpose for an overnight stay. It was very clean and inviting. The location was great, and so was the room. We loved the fun decor, and the huge terrace. Super helpfull staff! And really friendly. The room was really clean and updated. A little small, but worked out great for just my brother and I. We didn’t spend very much time there since we were on vacation and seeing the the city, so the size was perfect for us. Its clean and quiet and nice location, Easy access for everything. 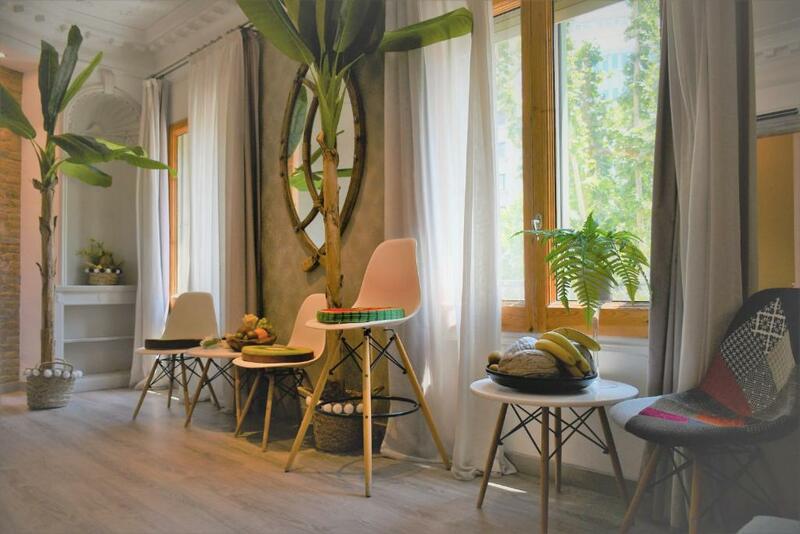 Lock in a great price for Kiwidestiny Barcelona City – rated 8.6 by recent guests! 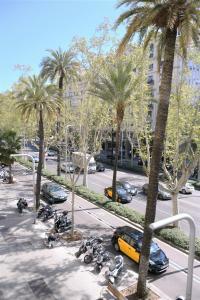 Featuring air conditioning, Kiwidestiny - Barcelona City offers accommodations in Barcelona. Passeig de Gracia Boulevard and Gaudís La Pedrera and Casa Batlló are a 10-minute walk away. Plaça Catalunya is 1.2 mi from Kiwidestiny - Barcelona City. The nearest airport is El Prat Airport, 7.5 mi from Kiwidestiny - Barcelona City. 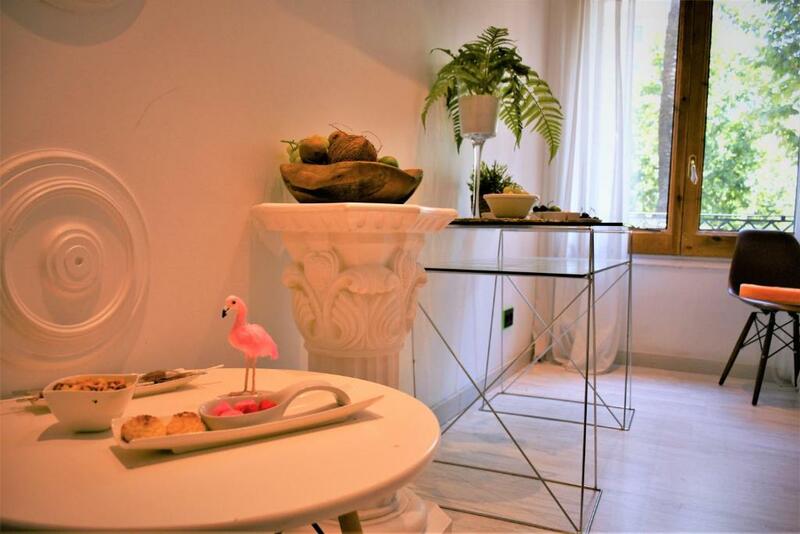 When would you like to stay at Kiwidestiny Barcelona City? Public parking is available on site (reservation is needed) and costs EUR 23.80 per day. This apartment comes with a double room and double sofa bed in the living room and TV with international channels. There is a kitchneette and a terrace. 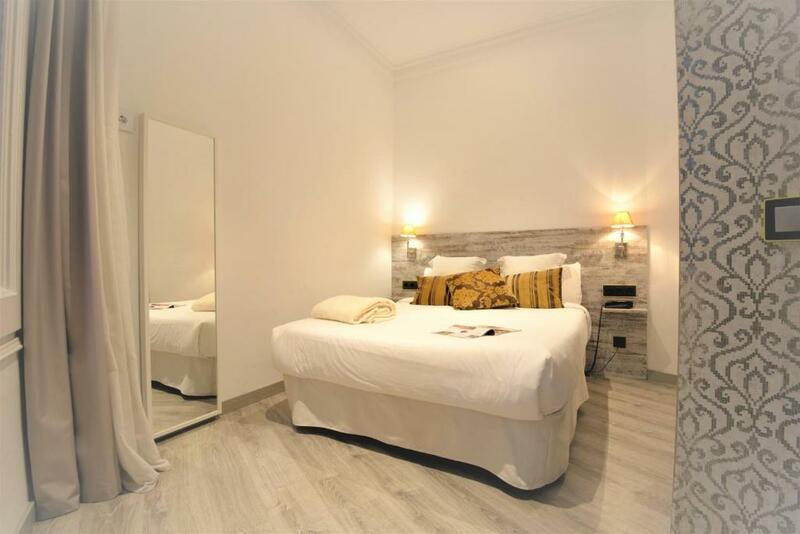 The bathroom comes with toiletries and bed linen and towels are provided. Area Info – This neighborhood is a great choice for travelers interested in monuments, culture and city walks – Check location Great location - show map Guests loved walking around the neighborhood! House Rules Kiwidestiny Barcelona City takes special requests – add in the next step! Kiwidestiny Barcelona City accepts these cards and reserves the right to temporarily hold an amount prior to arrival. Please note, check in from 23:00 to 00:00 carries an extra cost of EUR 30. Please note, check in from 00:00 carries an extra cost of EUR 50. Please inform Kiwidestiny Barcelona City of your expected arrival time in advance. You can use the Special Requests box when booking, or contact the property directly using the contact details in your confirmation. Nothing I didn't like. Very friendly staff! There was something bit wrong with sewer system. It was not an especially quiet stay with there being various noises when we were trying to sleep. The staff were very welcoming, friendly and helpful in giving us advice on somewhere to eat upon our arrival. The room was very comfortable and clean. We were charged €50 extra for late checkin. The total price of our room totalled the same as a 4 or 5 star hotel!! Do not stay here its a rip off!! The only issue was that the internet connection was really poor, and failed to work many evenings, so if you really need to be connected, not the best choice.